Labour is facing growing calls to suspend one of its MPs for “deeply offensive” comments about the party’s handling of anti-Semitism. 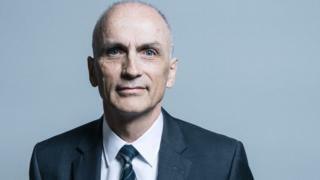 Chris Williamson said Labour has been “too apologetic” in the face of criticism and was being wrongly “demonised as a racist, bigoted party”. Deputy leader Tom Watson said the Derby North MP brought Labour into disrepute and should have the whip withdrawn. London Mayor Sadiq Khan also said there were grounds for disciplinary action. And veteran Labour MP Dame Margaret Hodge said “nothing less” than suspending the MP would do. The remarks prompted anger across the party, with a number of MPs, including Stephen Doughty, Wes Streeting and Neil Coyle, calling for action to be taken against their colleague. Labour said the remarks were indefensible and the MP should quickly apologise. “These comments are deeply offensive and inappropriate and fall below the standards we expect of MPs,” a party spokesman said. The GMB’s general secretary Tim Roache tweeted that “it was time for him to go”. The move prompted by a complaint by Mr Watson to the party’s chief whip and general secretary.